Современный музыкант участвует во всех фазах создания музыки: композиция, создание уникального саунда, запись, сведение и мастеринг. SONAR X2 с интерфейсом Skylight позволяет с максимальным качеством и удобством работать с каждым этапом создания композиции, переходя от записи к редактированию и легко возвращаясь обратно. Каждый из компонентов уникален — получивший всеобщее признание синтезатор Rapture, или характерный звук гитарной обработки TH2 Producer. Запишите аудио-фрагменты, обработайте их, нарежьте и манипулируйте ими вживую с помощью функции Matix. Модульная обработка каждого канала ProChannel позволяет гибко использовать весь необходимый инструментарий, а одухотворить цифровое аудио можно ламповой теплотой Console Emulator. Все редактирование и правка в любых окнах SONAR осуществляется единым инструментом Smart Tool. 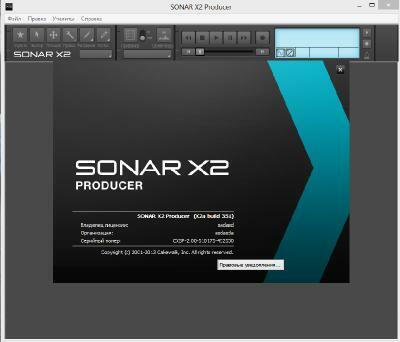 SONAR X2a provides full functionality and is officially supported in Windows 8 32-bit and 64-bit. The Now Time marker changes appearance to indicate if playback is stopped, paused, running, or recording. Sort columns in alphabetical, numerical, or date order. When adding a ProChannel module, the context menu shows a visually rich menu with a small thumbnail image of the module, the module name, and a brief description. The Track pane in the Piano Roll view and Staff view has received an updated UI, shows more intuitive buttons, and the current track is now highlighted. When dragging items from the Browser, the mouse pointer shows the name of the items. 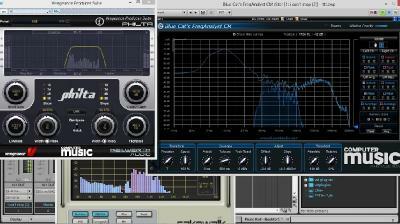 SONAR X2’s power is now more accessible to vision impaired users. SONAR X2’s accessibility features, including Microsoft UI Automation, expose rich information about its UI elements, such as type, state, name, and value. With reliable access to this information, vision impaired users can use UI Automation-capable screen reader programs such as Microsoft Narrator, JAWS, NVDA and Window-Eyes to access, identify, and manipulate SONAR’s UI elements. The screen readers read aloud what's on the computer screen. 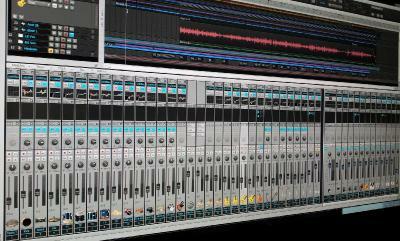 The Scan VST Folders command is available in the Browser’s Plug-ins tab drop-down menu. SONAR X2a will now help you determine if it is currently up to date. To check for and obtain the latest updates, go to Help > Check for Program Updates. The Automation Read button has been updated to better indicate its on/off state. The Automation Write button has been updated to indicate the current automation mode. 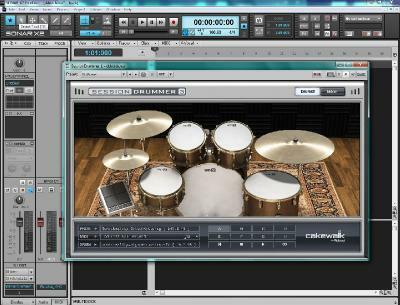 VST plug-in names show the proper VST name instead of the DLL file name. Expanded context menu in the Browser’s Synth Rack. Right-click anywhere in the Synth Rack to open the context menu. 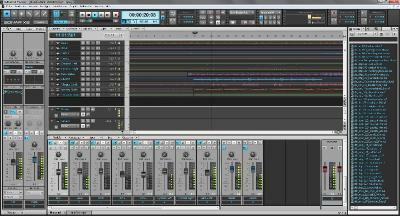 The Browser’s status bar shows metadata for selected VST plug-ins. The loop region obeys Snap to Grid when dragging the entire loop region in the time ruler. Muted Takes lanes are now shaded. The Comments field in Take lanes uses a brighter text color for improved readability. Updated mouse pointers during certain operations. In the Control Bar’s Markers module, the current marker is indicated in the marker drop-down menu. Surround Bridge UI has been updated. 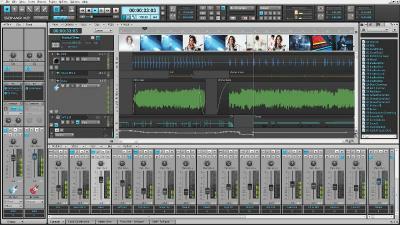 In Windows 8, SONAR X2a’s Matrix View and built-in ProChannel Modules can take advantage of Direct2D, which is a hardware-accelerated, immediate-mode, graphics technology from Microsoft. This option, labeled “Use Hardware Graphics Acceleration,” can be enabled in the Preferences dialog on the Display page. Clips View graphic anomalies when expanding track height with Auto Zoom enabled. Windows 7 or Windows 8 (32 and 64-bit). XP and Vista are no longer officially supported. Future updates will not be compatible or install on XP and Vista as they are no longer officially supported.